In this article, republished with permission from the Institute of Directors in New Zealand, Martyn Levy speaks to the BoardRoom editor about the lessons New Zealand can learn from Israel, why speaking several languages has helped his career, and why continuous learning matters. Martyn Levy is a Chartered Member of the Institute of Directors, a non-executive director with Instant Finance and owner of digital marketing and managed services provider Acurix Networks. The former banking lawyer now runs strategic advisory business MilaXAG and was previously board chair of Kadimah School. As a 20-year old, Levy took a year off university to immerse himself in a Kibbutz-based Hebrew language and geopolitics course in Israel on route to a 3-month Russian language and literature scholarship at the Pushkin Institute in Moscow. Levy understood from an early age that to really understand a people and a country you need to immerse yourself in the language and the culture of the place. At that time, the newly independent Russia was itself in a state of revolution. Around the time of the collapse of the Soviet Union in 1991 around one million Soviet Jews fled to Israel, with the last wave of this coinciding with Levy’s time studying at a Kibbutz in Northern Israel. Half the course was made up of people from the former Soviet Union. Levy sees Israel’s ability to leverage its talent pool as a great advantage. 60% of immigrants to Israel in the late 80s and early 90s were university-educated, so tech business incubators were created to leverage the skills of the new scientists, engineers and doctors. Six incubators grew to 24 and millions of dollars continue to be invested in this space with these incubators feeding the vibrant and hugely successful venture capital and technology industries in Israel. Just last year, Levy says, Israeli tech companies achieved over US$10 billion in exits. Already in 2017 Intel announced its intention to purchase NYSE- listed Israeli driverless technology firm Mobileye for US$15 billion. Levy will take part in a cybersecurity delegation to Israel this year, led by National Cyber Policy Office director Paul Ash, and says the lessons to be learned in Israel keep him going back. Levy’s experiences in Russia also had a big impact. Arriving in Moscow in 1993, he witnessed rioting on the streets and tanks shelling the Russian white house – “This was Yeltsin’s way of resolving the constitutional crisis. He was on the outside with the military and all its power and Khasbulatov and Rutskoy were on the inside waiving the constitution,” he says. The chaos, the people, the deep culture, the revolution; rather than scare Levy off, it made him determined to return to Russia for work at some point in his career. That point came sooner than expected. Back in New Zealand, Levy was working as a banking and finance lawyer at Bell Gully in Auckland when a UK law firm came through Australia and New Zealand seeking western-qualified, Russian-speaking banking lawyers, who weren’t Russian. Levy stayed in law through the dotcom bubble of the late ‘90s to early ‘00s. He saw friends’ businesses boom and bust and boom again and decided to move into the venture capital and tech space getting involved with a WiFi equipment vendor, which he grew and sold to US-interests in 2009. Later, while working as Head of Strategy at 2degrees, he again found himself leveraging his unique skillset to make the most of an opportunity. Levy suggested three up-and-coming technology propositions over lunch. “I could see an opportunity here,” Levy says, and surely enough an 18-month engagement resulted in a move with his family to Spain and Israel for much of 2013. I was fortunate to access these opportunities. I think I’ve had the most fun and challenged myself the most when I have seized opportunities that allowed me to use my strengths and those of the team around me to create value. Levy is an early adopter of tech, something many might claim but he backs up. His EA Julie, who set up this interview, “is a bot – she’s actually an amazing cloud-based artificial intelligence platform developed in France with superb natural language processing capabilities,” Levy says. He also has three home helpers in the form of Amazon’s Echo Dot ‘Alexa’ voice assistant. Like Siri, Alexa has a growing list of commands from basics such as playing media and making lists, to integrating with smart home platforms to perform tasks such as switching on lights or locking doors. Using technology in his own life has allowed Levy to see where tech advancements can work in business and how technology can help put the customer at the centre of a business, whether at advisory levels with clients, on a board, or the businesses he owns himself. He recognises that there is a real risk when directors do not understand technology, citing cybersecurity as a case study. Mitigating cybersecurity risk is not simply the case of a board adopting a strategy. “The cyber risk landscape is changing all the time and requires regular review and consultation with experts. It’s not like adopting an accounting standard where you have time to adopt the standard and clearly defined rules to follow. The frequency, ferocity of cyber-attacks is growing exponentially and the attack vectors morph on an almost daily basis. “I’ve watched cyber come up and I’ve watched the IoD push cyber and elevate it onto the boardroom agenda, successfully in my view, for those companies whose directors are in and around the IoD. “Board members might not understand how some of it works, but they certainly understand risk. Cyber, as an example, is a risk that needs to be mitigated. 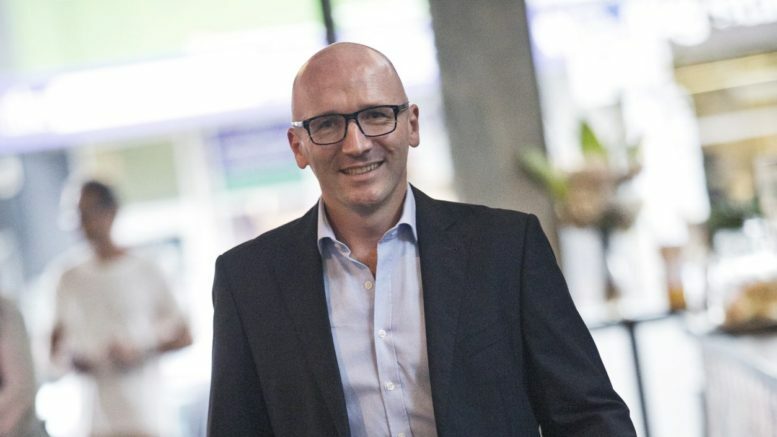 Levy says New Zealand also needs to make sure it has people graduating into the workforce who can actually work in the cybersecurity sector – we need to build collaboration between the government, intelligence, private and academic spheres. This collaboration is something Israel does very well and from which New Zealand can learn. At another level Levy thinks there needs to be greater focus on tech skills at schools. Levy was a trustee for a school which now runs a STEAM (STEM plus Arts) integrated curriculum. While no longer on the board, he is a big supporter of this change. Education matters at all levels and as a trustee Levy helped to put clear governance structures in place and focused on getting board training up to standard. Levy recently became a Chartered Member of the IoD and continues to build his governance career and seek out interesting opportunities. I enjoy helping companies chart the right strategic pathways to achieve a set of business outcomes. I also like sitting across a number of different businesses, verticals and projects as it keeps your mind sharp and provides variation, all while certain horizontal issues such as digital transformation or planning for long-term sustainability remain a constant. You never know what issues are going to come up. In the space Levy occupies, who knows what sort of conversations will be had around the board table in ten years’ time, and that’s why Levy says directors have to be constantly looking at new technologies, risks, and opportunities. – this article was originally published in the June/July 2017 edition of BoardRoom, the magazine of the Institute of Directors in New Zealand, and is reproduced here with permission.